11 Brands. One Location. Thousands of Luxury Choices. Walser Auto Campus is dedicated to your customer-focused experience. Walser invests in the people and organizations in the communities in which we live and work through charitable giving and volunteerism. Camp Needlepoint provides a fun and safe camping experience for children living with diabetes. Fraser serves children and adults with special needs through comprehensive education, healthcare and housing services. The Polar Plunge consists of brave souls who raise money for Kansans with intellectual disabilities by “plunging” into icy water in the middle of winter! Emotions in Motion is 5K Run/Walk to help spread awareness of suicide prevention and help reduce the stigma of suicide! Always great help. I get what I want and need done with great ease. Never have to worry about them trying to charge me an arm and leg for something as little as a cabin filter that I could simply do myself. Always love stopping by for my routine maintenance. Walser Lexus in Wichita is one amazing dealership and I must say that Tangela has to be one of if not the best service advisors I have ever encountered. She is so attentive and knowledgeable.She made my experience very enjoyable and does a great job of making sure that my vehicle will keep running properly.Also, I was slightly surprised, when the manager John Rawcliffe came in just to make sure that everything went well.Thank you both at Walser for a great service experience. The Walser campus is truly an amazing collection of dealerships and I can’t talk enough about how helpful everyone was, when asking for for assistance! And Tangela made sure that I was happy with my vehicle service. We have never been into facility before but had to ask for help. Nobody was on the floor to greet except service. Apparently there was a training going on. The sales man that helped us Mathew Salyers was AWESOME!! This was the first time having my 2018 Mini serviced and it was as easy a process as buying the Mini. I made the appointment online and they were very fast an efficient with the oil change. Great customer service. Had my car cleaned outside and vacuumed inside. Wonderful staff. Took my MB in for service and had an awesome experience. John Muir and his team did a great job keeping us updated and making us feel at ease throughout the entire visit. Excellent service received by the staff. I was in for a recall and everything was done on time and as promised. Good experience in all respects. Repairs were made quickly. Loaner car was ready and appreciated. Everyone was courteous. They even washed and vacuumed my car. Thank you. We were in town for a sudden death in the family, and drove 1800 miles across country in 2 days. On the trip we noticed that the headlights were way out of alignment and we had issues with the front windshield defroster. This was the first long trip taken in this car since I had recently purchased it. 2009 328i xDrive with 87k miles before the trip. I took it in the Walser the day after we arrived and spoke with my Service Advisor Lori Schmitt. Being new to the BMW family I was not sure what to expect. This was the most professional service I have ever received from a service center. Lori kept me updated the whole way through the entire process. Not only did the head lights need a major realignment, they worked tirelessly to determine the issue with the front windshield defrost not working correctly, ultimately discovering a badly clogged up cabin filter. In addition, I had made her aware of some other issues that had been discovered at another BMW dealership shortly after I bought the car. In all, she assisted in getting the lights fixed, the defrost working, replacement of the oil pan gasket, the oil filter housing gasket, the eccentric shaft sensor and gasket, plugs, brake fluid change, replaced missing rear brake caliper clips, replaced a failing tensioner pulley and alternator belt. As if this was not enough, the day before we were to leave to drive home, my coolant pump experienced a electrical short and stopped working, causing back pressure and blowing out the coolant reservoir tank cap. The vehicle was towed and left at the dealership overnight, and she made sure it was the first vehicle in the shop the next morning. When I had not heard anything back for a few hours, I called and spoke to a different Service Advisor who told me that they did not have the pump in stock and had to order it, this was on a Friday, and it would not be in until the following Tuesday. Lori knew that we had planned to leave and travel back Friday. She called me later that day and not only told me that she had located a pump, but that my car would be ready later that afternoon. True to her work, she called me at 3:30pm to advise the car was ready for pickup. Not only did she come through in a extremely tight spot, she arranged for a driver to pick me up clear across town and bring me back to the dealership to pick up my vehicle. She was gone by the time I arrived, so I did not get to thank her properly. As if she had not already done enough, when we arrived back home in Washington on Monday, there was an envelope waiting for me from Walser, specifically Lori, with paperwork that I had forgot at the dealership!Walser BMW, and specifically Lori Schmitt took an already stressful, emotional and absolutely crazy situation and did everything they could to make sure that my car and I were taken care of. Every part of the process was above and beyond anything I could have expected from ANY dealership or service center. While I obviously bought a vehicle that needed a lot of work and was not made aware of it, that is not the fault of Walser, Lori or BMW, but the dealership in Washington that sold the car. This experience alone has made me a solid fan of BMW, and my next car purchase will reflect that, because it will be another BMW.Words cannot express the gratitude I have for the professionalism and compassion shown by the entire team at Walser BMW in Wichita, KS. Great experience as always. Thx Tangela for everything. Also thx to the entire team, the great service couldn’t happen without all of you! I went in not knowing what was wrong with my RX350. Talked with advisor and she sent the car back to be checked even though I didn’t have an appointment. Less than an hour later I had a new battery (the problem) and a clean car. Great service advisor and service. To keep this short, I specifically went to look at the cheapest car they had on the lot, and I feel like I was treated the same as the guy buying the most expensive car. Sawyer was great to work with and made it a very smooth experience buying a car from Walser. Everything was fine except the servicenot finished on the day; therefore I had to spend a night in Wichita. Walser Auto Campus | Wichita, KS is a premier new and used car dealer group for high line luxury and performance vehicles. We represent eleven brands of innovation and distinction including Porsche, Jaguar, Land Rover, Audi, Mercedes-Benz, Sprinter, AMG, BMW, Lexus, Acura, and MINI. 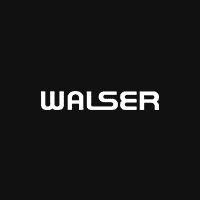 Shop the Walser Auto Campus for your next vehicle and experience our “one person, one upfront price, zero negotiation” way of doing business. As one of the largest dealer groups serving Wichita, Kansas and the west north central region of the Midwest we cater to out of state car buyers with our VIP experience and unique, hard to find, one of kind inventory. All eleven of our dealerships are full-line certified specializing in providing new, used and certified pre-owned automobiles as well as OEM, factory standard parts and service. Let us tailor your purchase with a truly first-class client experience.